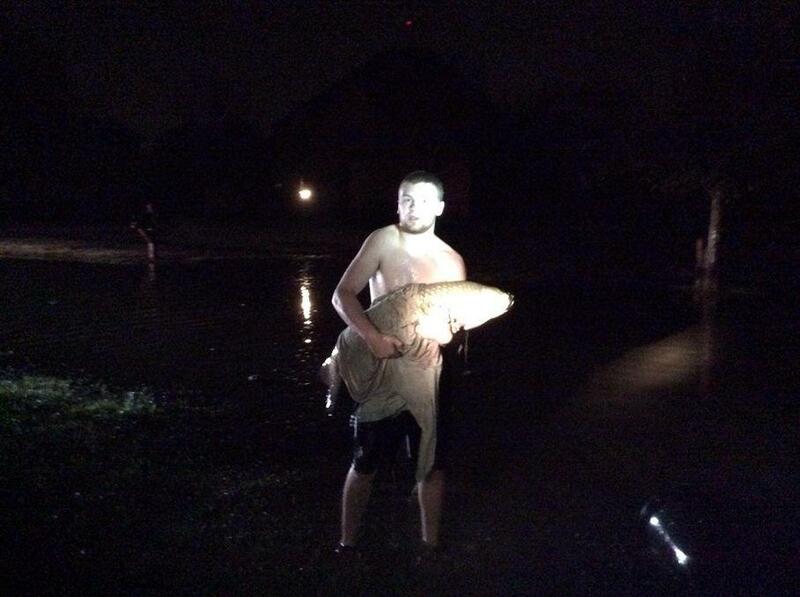 A video showing a teen catching a three-foot carp with his hands on a flooded street in northern Ohio is going viral Wednesday. Cleveland TV station WKYC reports that 16-year-old Jake Sawyer caught a grass carp estimated to be 3 feet long and weighing 40 pounds. Luke Sawyer shot the video while his brother grabbed the carp, also known as a white amur, with his bare hands and carried it to a nearby pond.